A photo showing a flag display at what appears to be a public housing estate has been circulating online. In the photo, five flags are planted on each side of a short outdoor staircase that goes between the void deck of a block and the pedestrian footpath. 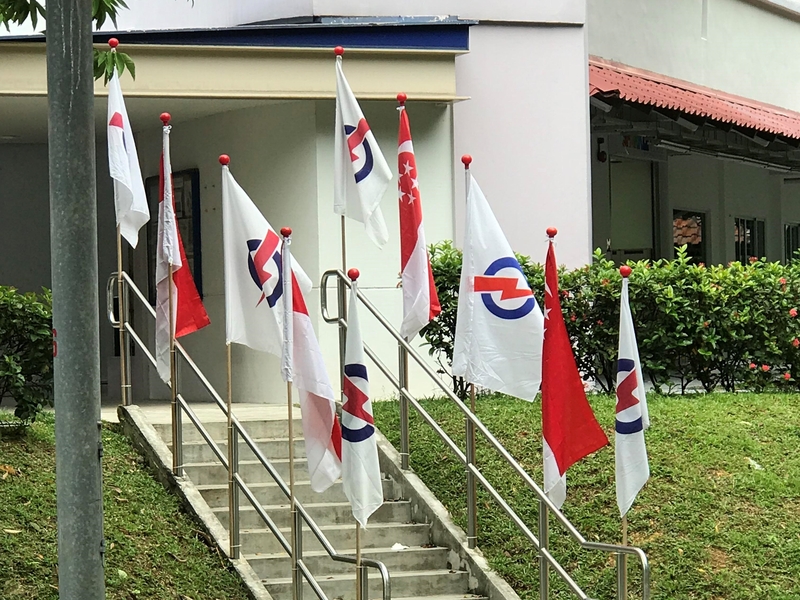 There are a total of ten flags and the majority of the flags, six out of ten, bear the logo of the ruling People’s Action Party (PAP). The remaining four flags are the national flag of Singapore. 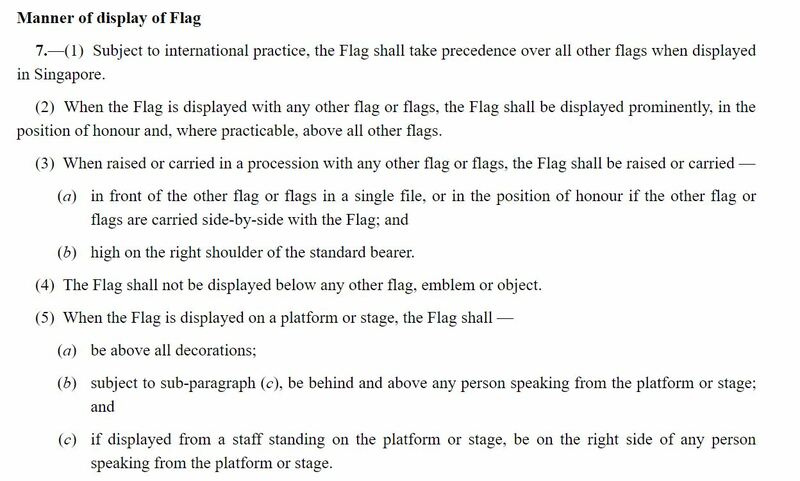 While it is not unlawful to place a party flag near the national flag, it is unlawful to place any other flag above the national flag. 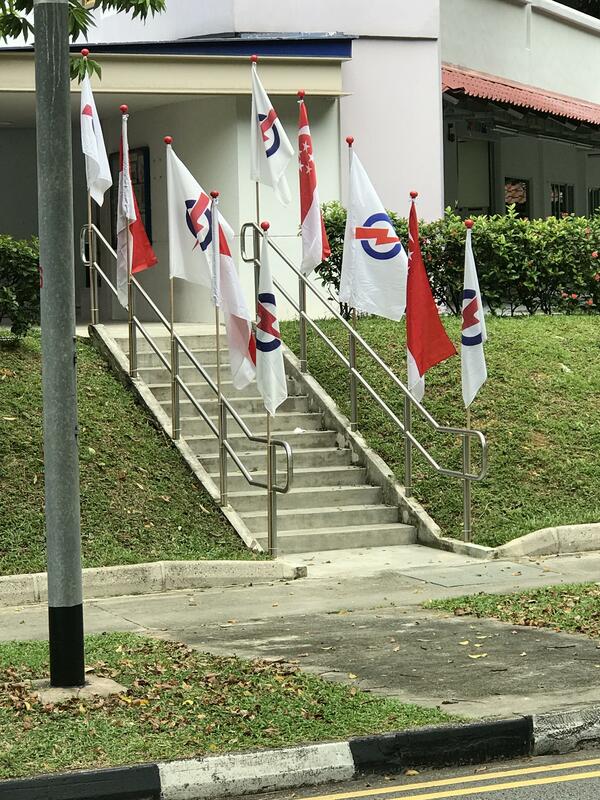 In the picture that is circulating online, two PAP flags fly above the first two national flags, before another pair of PAP flags fly before the second and last set of national flags. 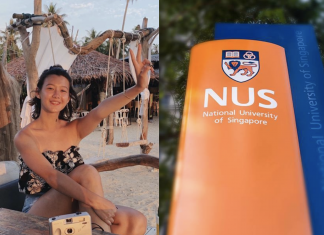 While there is some speculation that the flags may be displayed in a constituency held by the ruling party, it is unclear exactly where the flag display was captured.